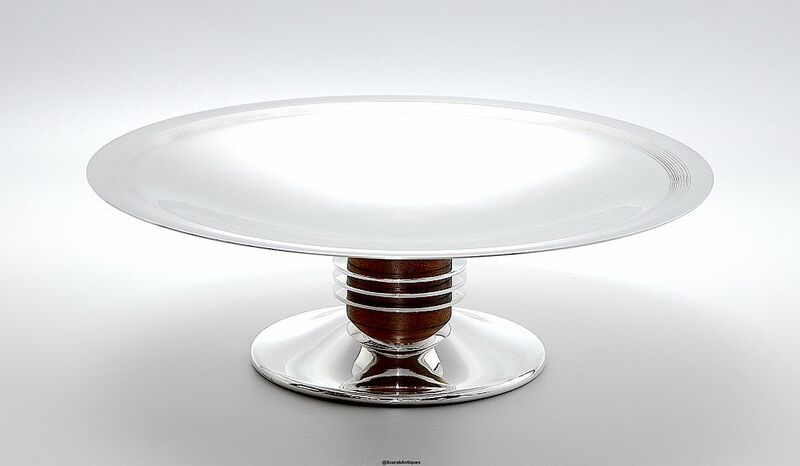 A fabulous Art Deco piece as one would expect from Luc Lanel & Christofle! Made during the 1930s this has a round domed foot supporting a pedestal composed of wood and silver plated discs beneath a broad round concave top with incised rings running around the outer edge. 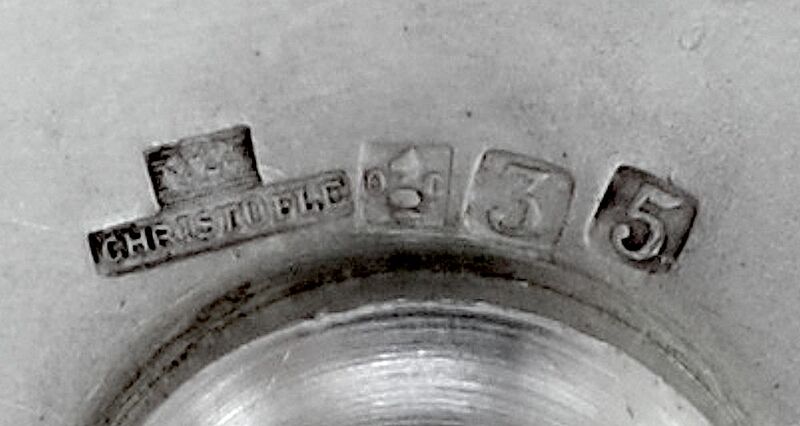 The base of the foot is stamped "Christofle" with both Christofle marks namely "OC" with a set of scales and "OC" with the knight chess piece. It is also stamped "35". A superb item.